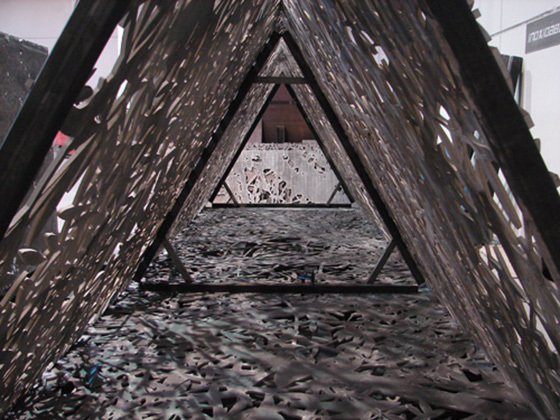 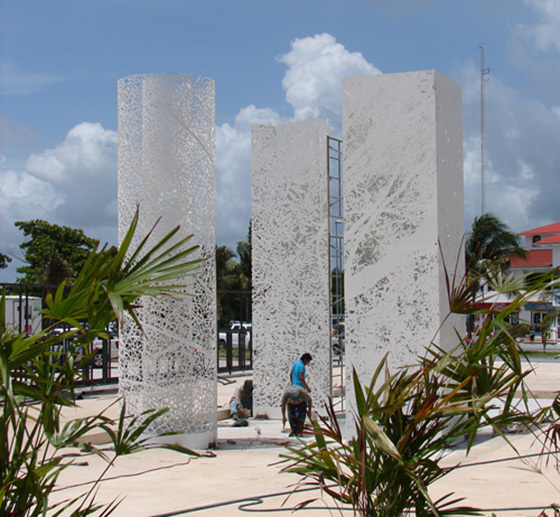 A new installation by Jan Hendrix was set up in Cancún at the end of August 2012. 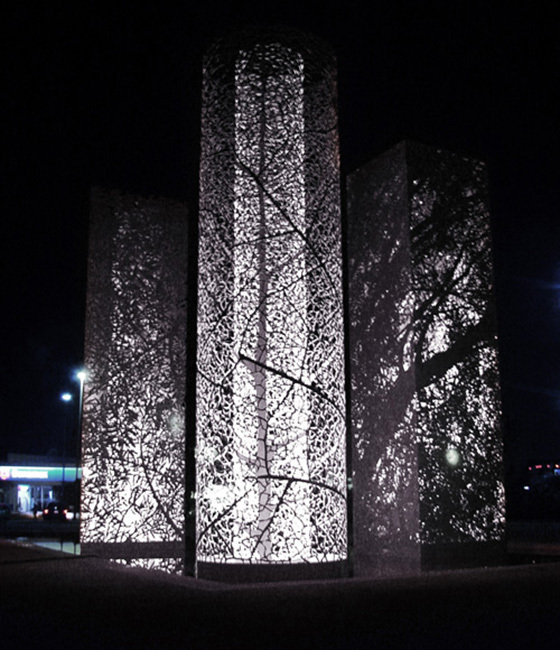 Hoja, Árbol y Bosque rests near the Instituto Natural de Antropología e Historia (INAH), consisting of three water-jet cut seven metre high extruded geometrical shapes (triangle, circle and square) in white-lacquered aluminium. 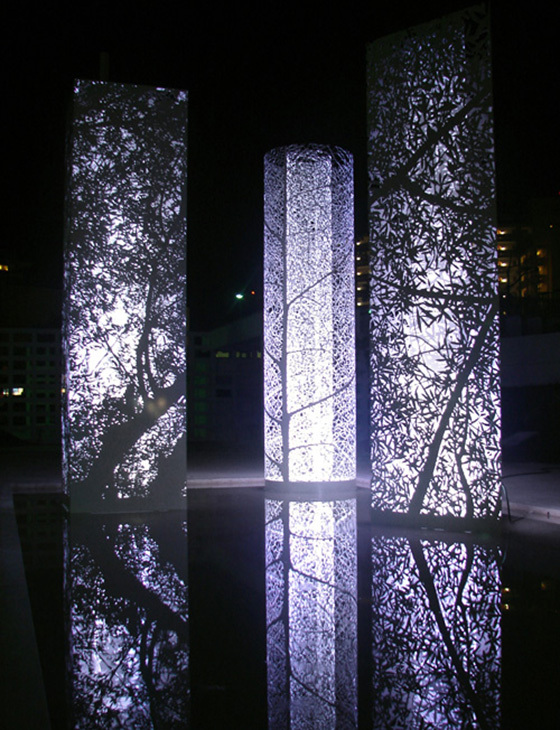 The installation lies upon a water mirror that increases the sculpture's verticality. 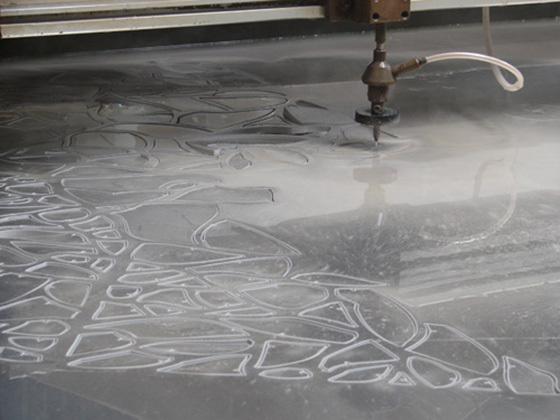 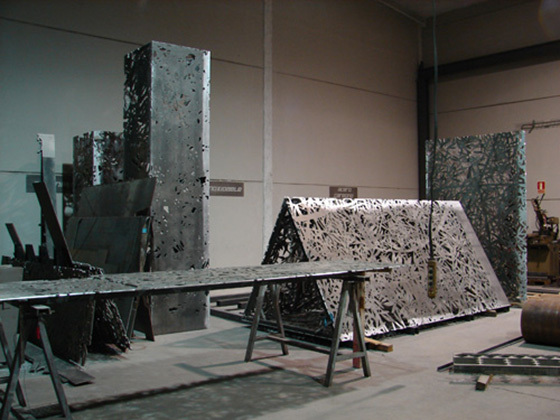 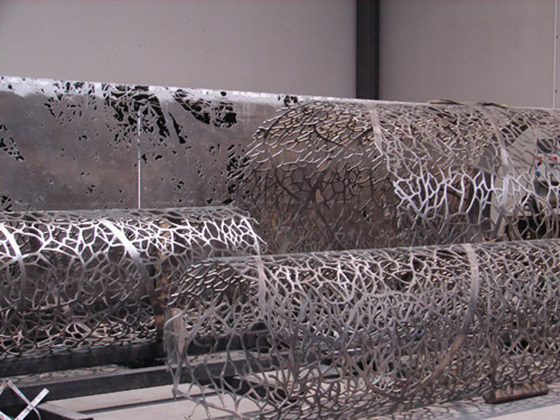 The aluminium sheets were water-jet cut in Madrid, where they are also welded and bent in case of circular columns. 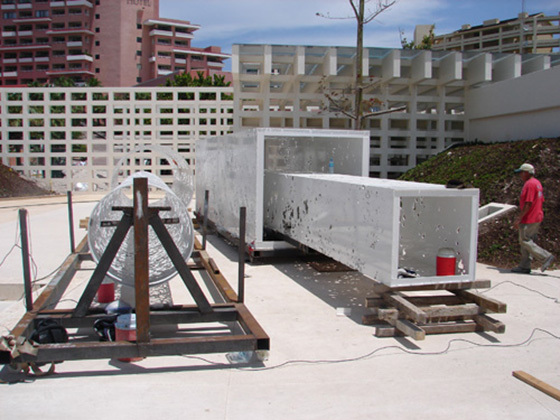 The different shaped columns were painted in white lacquer before being shipped to Mexico for installation. 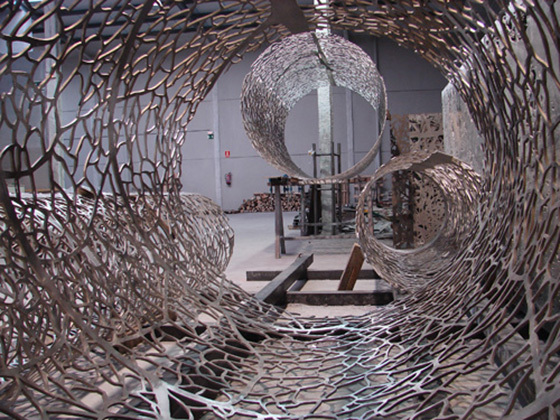 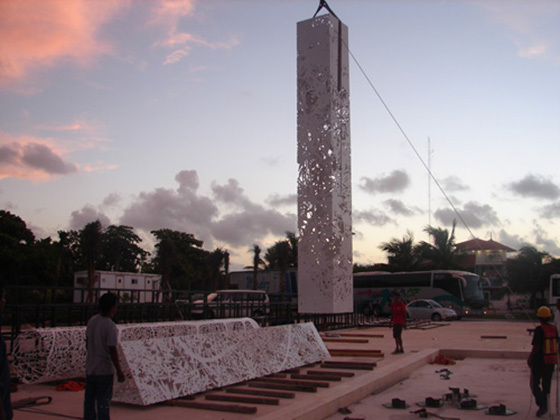 On-site installation in Cancún, Mexico.